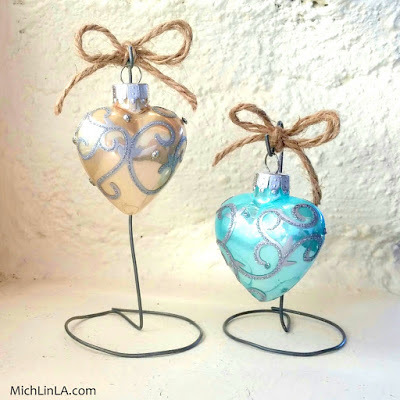 Mich L. in L.A.: Upcycled Crystal Ornaments! Pretty! Easy! Vintage Chic! Upcycled Crystal Ornaments! Pretty! Easy! Vintage Chic! Hi! Today, an ornament tutorial. Vintage, cut-crystal ornaments, to be precise. And of course - they're upcycled. Aren't they nice? And crazy simple to make. Here is the DIY. Dig up a crystal salt or pepper shaker. Got one stashed among the family china? If not, they're easy to find at thrift stores or yard sales. The only other supply you need: a basic ornament hanger. (A hundred for a buck at the dollar store. Or make your own from any old craft wire.) Grab a hanger and straighten out one side. Snip off the extra wire, and presto! You're done! And voila - custom colored crystal ornaments. If you have some vintage crystal shakers in your family, hang them on your tree and enjoy a new use for an old heirloom. Or give them as meaningful family gifts. After the holidays, you could always convert them back into salt and pepper shakers...but I think I'm leaving mine like this. I hope you enjoyed this one! 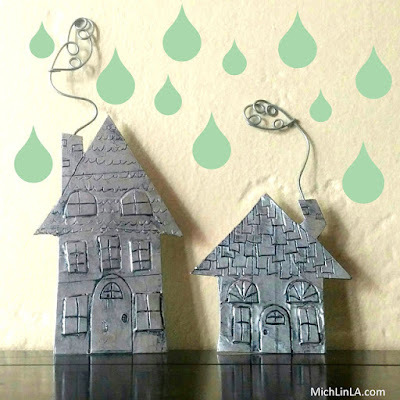 Want some more cute and easy upcycled Xmas ideas? Check these out. That's it for now. Later, gators! Michelle I am in LUV! Such a fab idea (and so easy too)! You rock man! Beautiful...but not too heavy for the tree? You are entirely brilliant...sad thing is when I went on a cleaning spree, I think I got rid of most of mine!! Oh I love this. I bought loads of shakers to hold my glitter but they aren't as practical as the original containers. Now they have found a purpose in life!!! This is super cute. I thought of a tiny variation, instead of putting beads in them you could stuff colored tissue paper in them. I always have tissue paper on hand and it is very lightweight and would keep the weight of the ornaments down for hanging on a live tree. I am so putting salt and pepper shakers on my thrift store watch list. This is so smart, and so pretty! I'm pinning this to my "to-do's" !!! Another brilliant Idea Michelle! I'm going to be looking out for some of these in the charity shops this week! Wow!superb as every time...Still use them in the kitchen; very clever idea! I bet they look really pretty when the Christmas lights shine on them. Clever idea as always. 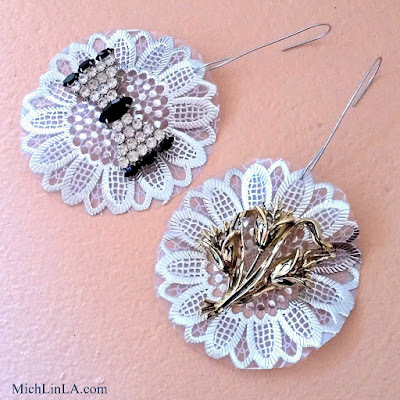 Just stopped by to let you know that I featured these ornaments on my round tuit post this week!